In this 3rd edition of Say Good-bye to Illness, Dr. Nambudripad, the developer of Nambudripad’s Allergy Elimination Techniques (NAET®), exposes the truth behind the many health problems plaguing people today. In her book, Dr. Nambudripad gives a new definition for allergies and a deeper understanding of how our bodies relate to or retreat from the millions of natural and artificial substances around us. Patients are encouraged to read “Say good-bye To Illness” prior to starting NAET® treatments with their practitioner. This book will give you some understanding about allergies, allergy related diseases, and how a non-invasive, easy to follow, holistic treatment can give you freedom to live comfortably again. Many case histories of managing various health problems are given in this book. Young infants from day five to older patients as old as 94 have been treated with NAET® with excellent results. Many so-called incurable problems have been traced to food or environmental allergies and treated with great success. She shares the amazing story of her personal struggle to free herself from lifelong allergies and also explains the theoretical basis for her technique. The book provides hundreds of true testimonials and fascinating case histories of patients who have been treated successfully with NAET® for various allergy-based health disorders and living normally now. (JNECM, 2005, 2006, 2007). It is also supported by testimonials from practitioners, as well as success stories from hundreds of patients who have suffered and now live allergyfree. 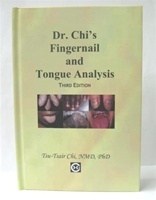 This book has revolutionized the practice of medicine! - Devi S. Nambudripad, M.D., D.C., L.Ac., Ph.D.